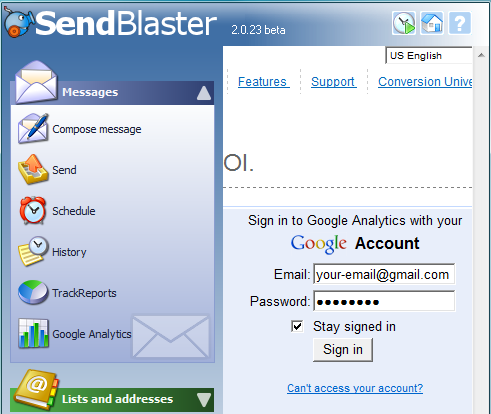 Just click on Google Analytics on the left menu, and access your account. 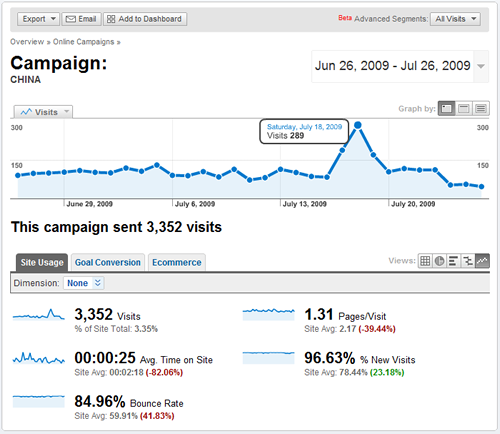 Click on Campaigns, then select a specific campaign, if you are monitoring more than one. In example, we select a campaign named "China". 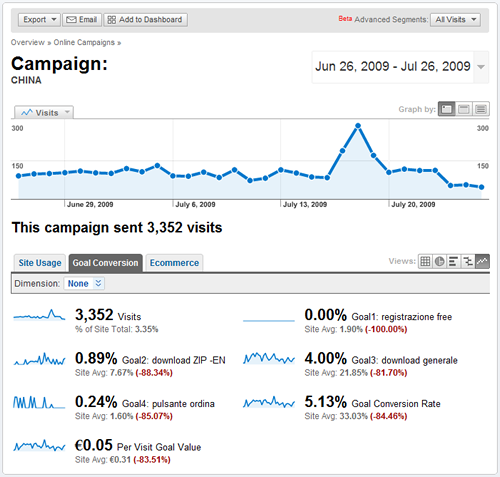 In the screenshot below you have statistics related to the specific email campaign "China". The screenshot shows the overall results from the campaign, but you can also perform a deep analysis on each link on your email. 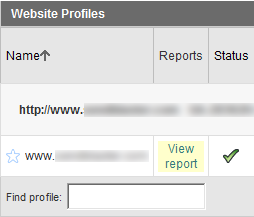 Google Analytics allows setting specific goals (i.e. how many customers clicked on the "buy" button, or how many people downloaded your software). When you click on the "Goal Conversion" tab, you know the achievement rate of the goals you set. 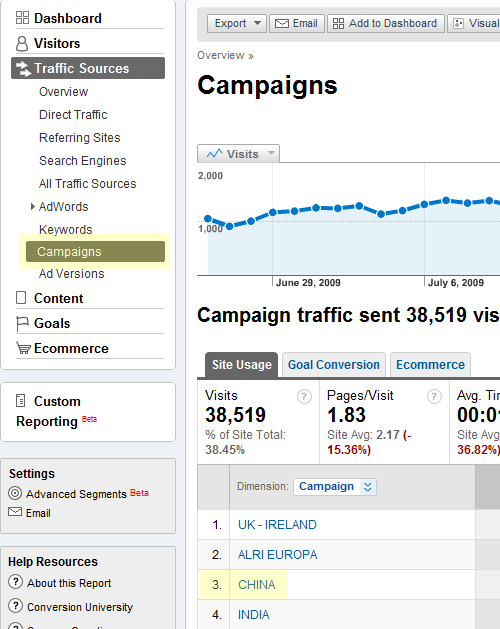 Statistics provided by Google Analytics are extremely powerful and detailed. The screenshots above can't represent all the features of this tool. 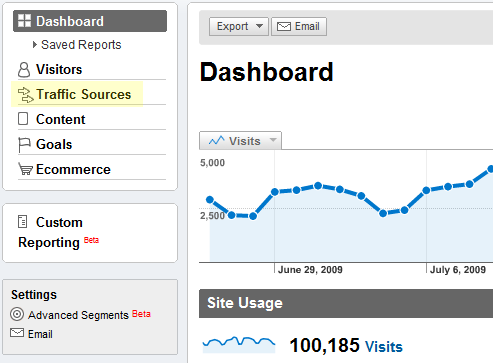 To learn more about using Analytics, visit the Help section.